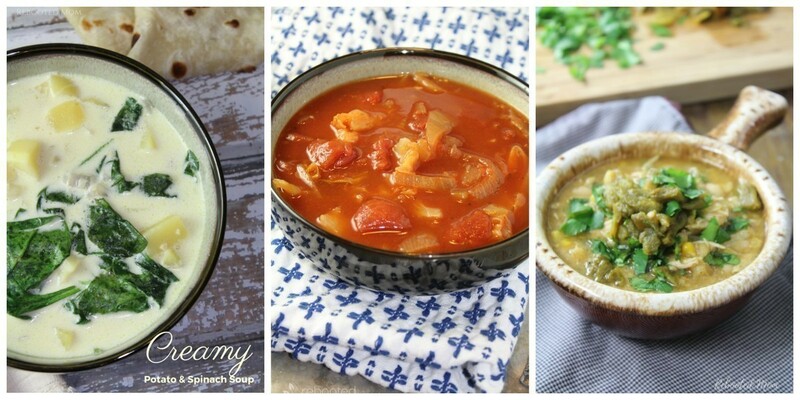 Instant Pot Soup recipes can be a great way to feed a family well during the cold weather part of the year. 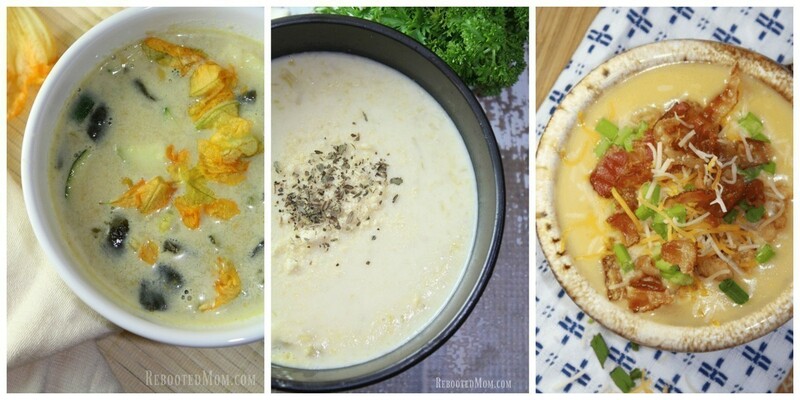 Here are 15 soups you will want to try! The Instant Pot has been a total game changer in our house. Several years ago, I went from being vaguely introduced to the Instant Pot via a good friend, I had no idea what the appliance was or could do. In fact.. I was bewildered. I felt like I was part of a weird cult for a while. She automatically added me some random Facebook group (a few actually) and 2 days later, I made that impulse purchase and told myself I had to have it. Folks, way more than 100… I just got tired of typing at some point and decided to throw it out there as is ? I really love the appliance – the kids do too. We have tried lots of things, we have had our share of incidents (don’t ever fill it too full and don’t let your kids think they can release the steam the day you decide to fill it too full). My kids are rebels. They love to do the opposite of what I tell them to do. But all in all, it’s a fabulous appliance to invest in. As a family of 7, eating out is not an option – especially when it runs $40 – $60, and that’s on the low end. We have told the kids that they get to eat at the Sheryl Restaurant, and every time we say that they giggle and realize that having more siblings is more important than getting to go out to eat every night. Because that’s really the truth. Time spent eating meals together at home is priceless, and sometimes the best form of education comes in them doing things with their hands. The cooking starts and we have some mini chefs that are always right there to help. 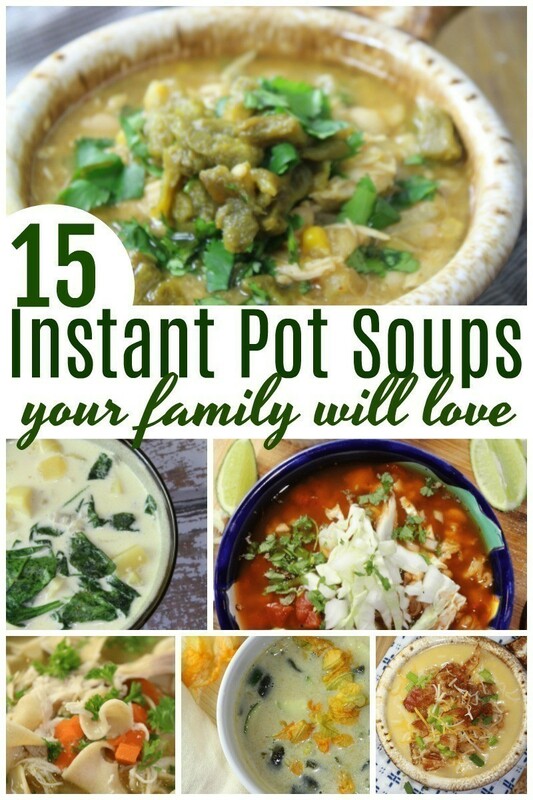 If you love soup as much as we do, you’ll love to have these 15 amazing Instant Pot soups on hand! This soup is SO perfect for St. Patricks day .. or, if you have an abundance of potatoes! You would never imagine bell peppers being so good in soup, it almost seems wrong to not “stuff” them and pop them in the oven. 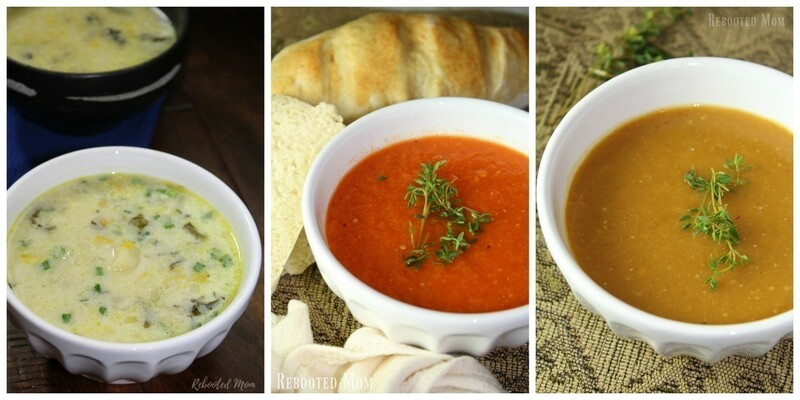 This soup is so incredibly easy and tastes amazing. Even the kids will approve. Who doesn’t love Pumpkin everything??! Combine a single can of pumpkin with chipotle chiles and a few other spices to make this rich Chipotle Pumpkin Soup that’s Vegan and Gluten-free. Yum! One of my favorite soups combines leeks and yellow squash into a creamy mixture that’s rich and perfect to have with a loaf of crusty bread and a salad. The ultimate comfort food – I don’t know anyone who doesn’t love a loaded baked potato – except… this basically takes that loaded baked potato and transforms it into a delicious soup that’s perfect for cool nights! Who doesn’t love chicken noodle soup? 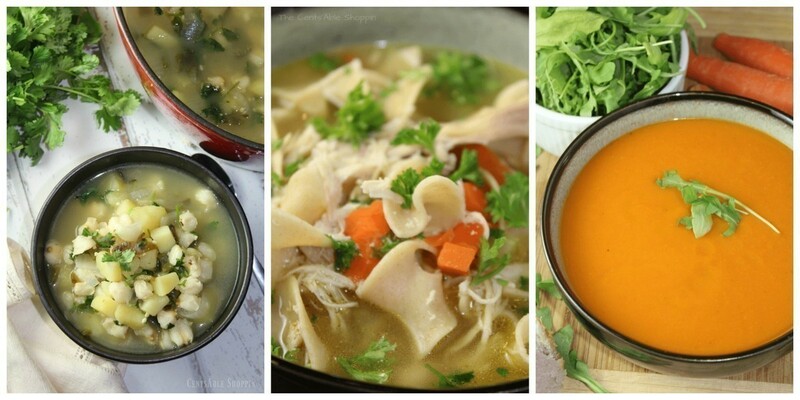 Thanks to the Instant Pot it’s a soup you can whip up in no time -even more easy if you have a rotisserie chicken to use. It’s a kid favorite and perfect for a freezer rotation or make extra for family and friends. If your kids don’t like carrots, they might after they try this soup! Carrot Ginger soup combines a few simple ingredients to make a rich soup that’s not short on spices. Celery is my least favorite veggie – but in this soup it’s my favorite. Ironic – right? This vegan cream of celery is all too easy in the Instant Pot and a great way to use your bounty of celery. Another meatless favorite and switch on the traditional chicken or pork posole – instead of meat, this soup is full of beans and hominy. So good, in fact, that you won’t even realize that it’s meatless! Traditional Mexican Posole made easy in the Instant Pot and garnished with fresh onions, cabbage, radish and oregano. Yum! Such a great way to use an abundance of spinach – combine with potatoes in this creamy meatless soup that’s sure to warm chilly tummies. Cabbage is a slimming food (or so they say!) – and this recipe couldn’t be an easier way to put it to use with a few simple ingredients and your favorite spices. It’s great when served up next to your favorite toasted sandwich. Every fall we welcome the wonderful smells of roasted Hatch green chiles. YUM! 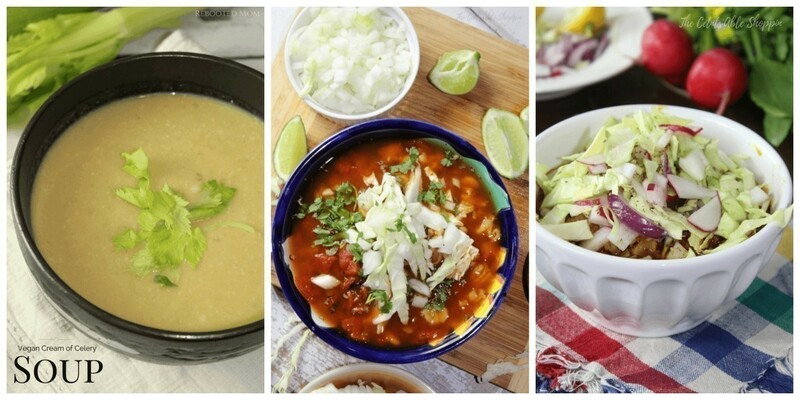 This soup combines a New Mexican favorite with chicken, chile verde and white beans to make one of the best white chicken chili recipes you will ever have!